Advances in EdTech must be implemented in the curriculums of today's digitally savvy students. Andy Alferovs, managing director of Kortext, the UK’s leading digital textbook solutions provider, discusses how innovations in EdTech and analytics are leading to a step-change in higher education which could lead to a more flexible, personalised teaching and learning environment. The relentless development of digital technology is transforming every corner of modern society - from health to business, retail to manufacturing. There’s no escaping its huge impact on higher education too. Higher education institutions in the UK and internationally have no choice when it comes to embracing digital transformation, but to what extent are they delivering the tech-first experience that today’s students expect? The vast majority of students embarking on university education today are millennials - natural adopters of technology, automatically turning to the likes of Spotify for their listening demands and Netflix for visual entertainment, happily sharing data about their usage and preferences. So, perhaps universities can follow suit when it comes to studying? Innovations in EdTech are offering universities new opportunities to improve teaching and learning, one major advantage being analytics and big data. Learning analytics can offer invaluable indicators, such as how an individual student is engaging with their course content and how a whole class is progressing. With the introduction of TEF (Teaching Excellence Framework) universities are coming under more scrutiny when it comes to the quality of education and student experience. This focus on quality will arguably encourage prospective students to be more discerning when it comes to selecting their university of choice and setting their academic expectations. With so much at stake for students in terms of money and time, universities are making considered investments into student experience and quality of teaching, like providing core etextbooks as part of course fees. We know that students’ expectations are high across the board. According to our research, only four in ten students currently believe university fees represent value for money, and figures from Times Higher Education’s teaching survey reveal 68% of students complain when grades are lower than expected. There is no silver bullet response to this, but an important part of the solution is that universities empower students to take responsibility for their own destinies, providing them with the tools they need to improve their own grades, thus taking some off the onus off academics. When we surveyed 1,000 current students and recent graduates, a huge 91% said they would be happy for their lecturer to track their progress week by week if it helped them to get the best grades. Edtech will enable more universities to proactively harness the benefits of learning analytics to gain invaluable insight into academic performance, learning habits and students’ engagement with their course materials. Millennials are arguably much more open than previous generations to sharing their data, from health and fitness to personalised shopping recommendations. Our research shows that students are just as comfortable for academic data to be used in the same way. Almost half (47%) believed their grades would be better if lecturers had the ability to monitor in real-time how well they are doing throughout the course. Learning analytics can open up new opportunities for lecturers to gain up to the minute insights into how their students are working. It provides an opportunity to tweak and tailor their approach and even offer personalised learning recommendations to individuals, in turn helping them to get the best academic results and a rewarding university experience. Learning analytics can be used for much more than helping to boost grades. 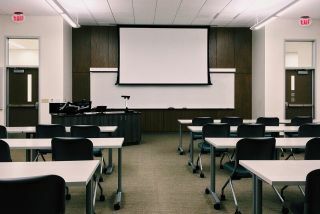 The statistics can also be incorporated into universities’ retention strategies to help identify individuals who may be disengaged with their course content, giving lecturers an opportunity to work with them before they drop out. A report by the Social Market Foundation reveals that 6% of university students drop out after their first year, so retention is a huge focus for universities. According to our research, 76% of students believe better use of learning analytics could be key to tackling drop-out rates. Universities that are adopting a digital-first approach, such as the University of Worcester, are already noticing a marked improvement in retention. Digital transformation is not something that can be introduced overnight. It is a cultural shift that requires buy-in and investment from all sides, but it doesn’t have to present a logistical nightmare. Investing in a learning platform like Kortext means universities don’t have to worry about managing the challenges of implementation. This will be taken care of by a dedicated team who will ensure the platform is integrated seamlessly with existing infrastructure. We can even be on campus at the beginning of the process to provide technical support to staff and students. It means that universities can provide a truly flexible approach, enabling students to study from anywhere in the world, at any time. Forward thinking universities can utilise algorithms which draw on big data sets from multiple aspects of the learning experience (e.g. students’ use of online textbooks) ensuring students get the most out of their course fees. Used alongside other data from virtual learning environments and library systems, the data could provide important insight into wider learning trends enabling universities to provide more accurate evaluations from an individual level right up to university-wide. Students are quite rightly demanding more for their investment. Universities should be thinking about providing the highest quality student experience, the best results and the most exciting opportunities to succeed after university. For universities to truly meet the needs of their students, they should be using all the information available to them to support how their students are engaging with their studies. So now really is the time to grab the opportunities created by introducing learning analytics.